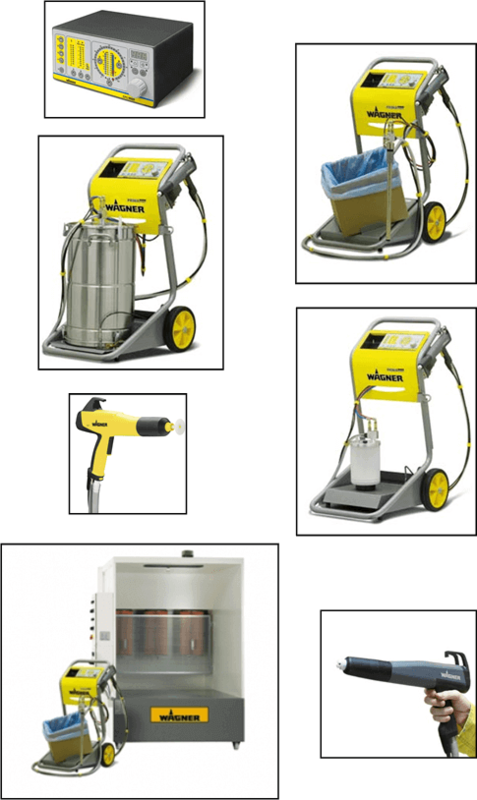 Discover our powder coating machines SPRAYMAQ to the sale with a price interest that may know asking more information through the contact or in the phone that you appears in the part superior of the web. Our catalogue of equipment for the application of paint in powder electrostatic will leave them 100% satisfied! Design, function, and coating results: great in every way! 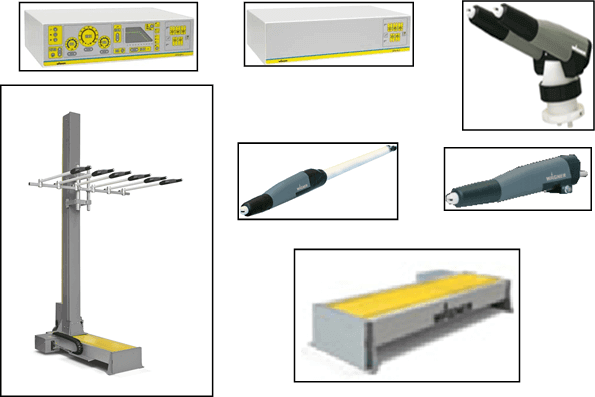 New manual equipment Wagner, It combines an attractive design and superior functionality. Easy to use, using the electronic controller, exceptional coating results are achieved. Its dynamic control center, It combines the performance of all parameters, It is divided into four functional sections. Fits the curve only, waterfall, features, and support for Tribo, They offer maximum flexibility in all types of powder. In combination with the new manual gun PEM - X 1, new gun provides perfect coating results. Powder feed, is carried out directly from the origin of stainless steel container of 60 l., It can optionally be canister. The manual system can be transformed into a model of 3l or 60l with vibration table model. This manual system allows work and used in small places. The PEA-C4 HiCoat , automatic pistol of new development, It offers optimal conditions for powder coating adapted to the requirements of automatic operation. High quality results, reliable and reproducible. The cascade of high-voltage comprehensive gun, with a power output of up to 100 kV, works perfectly and safely. All the electronics are integrated into the body of the gun. This guarantees a long service life and low service costs. Reciprocadores WAGNER, equipped for the achievement of results of perfect coatings using self-enforcement. WAGNER motion technology can be implemented in a flexible manner; with this technology, You can run each individual movement accurately process and, in combination with the horizontal transfer of WAGNER cart, more complex movements of optimal and efficient way can be made. The rates of increase of the transfer (application efficiency) in conjunction with the electrostatic optimized for greater economy. Process optimized Flex Nozzle for the widest variety of demands of practical applications-coated flat Jet spray system. Homogenized soft cloud of dust for more uniform film and optimized powder deposition thicknesses. Particularly beneficial for users with lengths of hose very long. Optimized coating and quality in application of metal deposition, special effects, and UDS powder paint. Smooth control of the spray pattern for optimum adjustment to all the contours of the surface. Newly developed system with soft cloud of dust oval round blast nozzles.